I use Bricksite every day to serve my many happy Internet customers. Bricksite is extremely fast, and the prices are very reasonable! I have used Bricksite for several years. 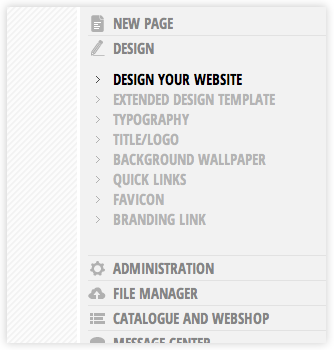 Whenever I need a new feature on my website, I can buy it at a very low-cost price. I have been a happy Bricksite user for several years now and can highly recommend the system for both private and professional use. At Bricksite it is easy to see how much you have to pay for our services. There is no subscription fee, and additional modules, web pages and storage space can be acquired at low one-off prices. Let us give you an example: You have created a free website (including 10 web pages and 25 mb storage space), but you wish to create additional pages/menu items. 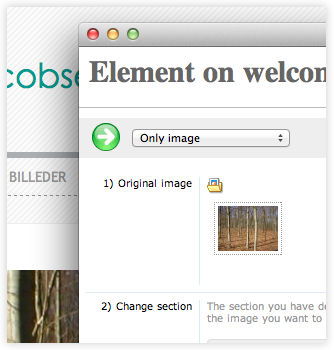 By paying a one-off fee of DKK 39.00, you can add an extra five pages to your website. We have been around for quite some time now. This means that our system contains a wide selection of modules within design, communication and e-commerce. Create your own free website to get the best impression. Give it a try - it only takes two minutes of your time and won't cost you a dime!